Membership in the Smith Mountain Striper Club provides you with the ability to attend all Club meetings & events, access to the member-only sections of the Club Website, including the Club Discussion Forums where members share fishing reports, more details on tips & techniques related to striper fishing, etc. You will also receive via e-mail a copy of the Club's newsletter (published approximately 6 times a year). In addition, Club membership provides reduced entry-fees for the Member-Guest tournaments, and the ability to participate in the Tournament Series competition. There are other "perks" of being a SMSC member, such as discounts to SMSC members by certain Club sponsors. 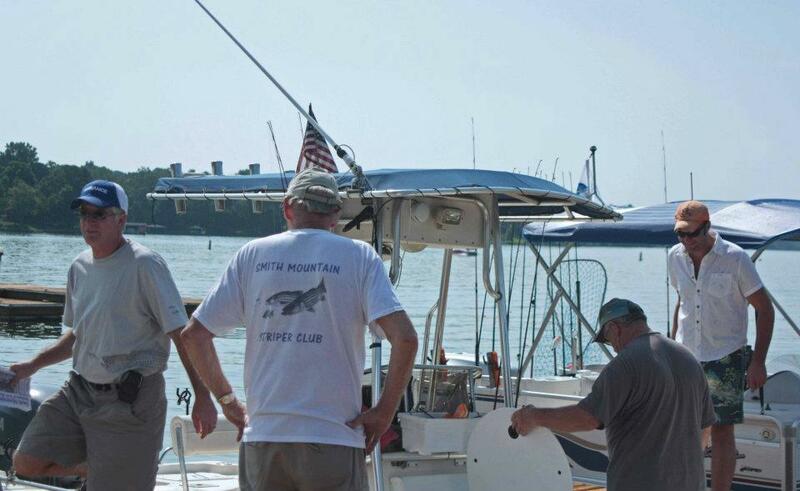 Finally, and perhaps most importantly, membership in the SMSC helps to support the only organization around Smith Mountain and Leesville lakes focused on the on-going preservation and conservation of the striped bass fisheries at these two lakes. We invite any individuals with an interest in striper fishing on Smith Mountain or Leesville lakes to join us for a Club meeting or other Club activity to get a feel for what the SMSC is all about. We also suggest you take a bit of time to review the various sections of our Website which can give you a good view into the various types of activities, topics covered during the meetings, etc. However, nothing beats meeting Club members "live" and getting an opportunity to talk with them about the ins and outs of striper fishing. Membership in the SMSC runs on a calendar-year basis. Individual membership is $30/year and includes your spouse at no additional fee. Business memberships and sponsorships are also available. Anyone may become a member of the Smith Mountain Striper Club by completing the membership form below and mailing it and a check for the Club dues to the Club PO box, or bringing them to a Club meeting. If you have any questions, please contact us here, at smsc@smithmountainstriperclub.com, or contact our Membership Chairman, Andre' Peery, at 540-521-0530 or apeery48@verizon.net. We hope you will join us!